OPEN HOUSE - SUNDAY, 8/27 - 1 to 2:30 P.M.
3 level townhome - approx. 1586 square feet plus a full basement. 2005 kitchen - all appliances included. C/AC, 2 parking space directly in front. Established community on 37+ private acres. Heated pool, tennis, clubhouse with fitness room. 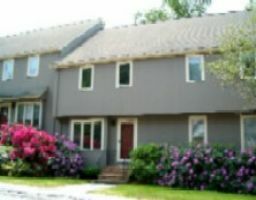 Minutes to shopping commuter rail to cambridge and Boston. All for $290,000! Motivated seller - ready for quick close. Email MarilynMessenger@realtor.com for address or visit www.MarilynMessenger.com for more photos and details.